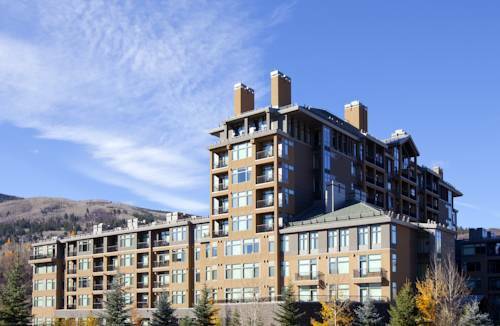 Your renewing retreat at The Westin Riverfront Mountain Villas is a stylish studio or one-bedroom villa that comfortably accommodates as many as four adults in up to 830 square feet. Spacious villas offer relaxing moments on private balconies or patios and in front of gas fireplaces, complemented by luxurious features such as the signature Westin Heavenly Bed and Westin Heavenly Bath, a fully equipped kitchen or well-equipped kitchenette, and a washer and dryer, bundling a truly rejuvenating time for you, your family and your guests. Revive your spirit atop Beaver Creek Mountain with exciting activities like skiing, hiking and mountain biking. For world-class downhill skiing, guests can access Beaver Creek Mountain via the Riverfront Express Gondola outside our back door. Or, slip off to the Eagle River to enjoy kayaking, trout fishing and rafting. Sharing the enviable amenities of The Westin Riverfront Resort & Spa, youll have no shortage of fun. Maya: Savor contemporary Latin flavors at Maya. The vision of celebrated chef Richard Sandoval, it blends global ingredients and cooking techniques with the chef's modern take on traditional dishes. The Lift: Located on the Lobby Level across from the Riverfront Express Gondola, Lift is a great place for easy, casual dining. The all-American menu features a wide variety of delicious burgers, sandwiches, soups and salads.